Every year we like to highlight the World Health Organization (WHO) World Health Day, and this year is no different. We’ve written on many subjects from food poisoning to diabetes to mental health. This year, WHO have decided to focus on Universal Healthcare (UHC), a subject which has been the driving mission behind WHO since its conception in 1948. 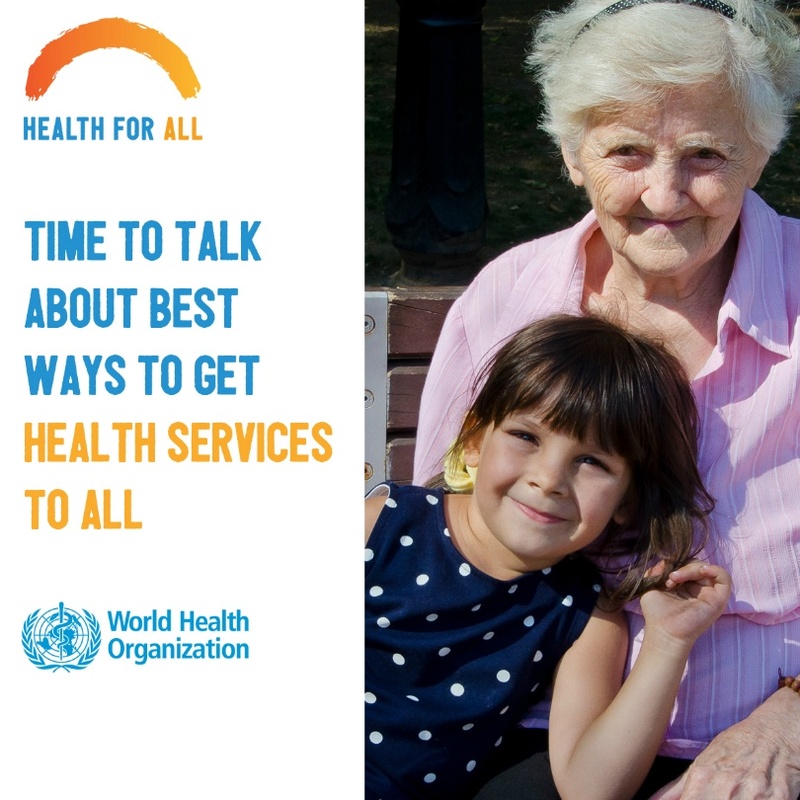 Their “Health for All” campaign encompasses not only ensuring quality healthcare is available for everyone around the globe, but also the services and attitudes towards our healthcare systems, in order to make them as efficient as possible. Patient-centered care - Placing the patient at the centre of a care system, rather than the diseases and institutions. Healthcare providers - Looking after members of staff and the people involved in the providing care, whilst also holding them accountable to their actions. Healthcare facilities - Ensuring everyone has access to the basic healthcare facilities. Some underdeveloped countries still do not have access to vital vaccinations, for example. Public health campaigns - Large scale public campaigns for a particular disease or condition reach everyone and can help spread awareness and reduce prevalence. Health technologies - The world of technology has grown exponentially, and it is important to utilize these technologies in the healthcare world. Ensuring everyone has access to this is crucial for the success of UHC. Our Isabel Symptom Checker for patients is available for everyone absolutely free. This means anyone with an internet connection and phone or computer can have access to resources and information on their symptoms. One of our main roles to play in the mission towards UHC is in improving diagnosis. Our tool exists because of a near-fatal misdiagnosis of a young girl named Isabel Maude, and so we are always striving to improve the diagnostic process for both the patient and the healthcare provider. Stopping so many misdiagnoses can have a huge effect on the costs of an institution through cutting down unnecessary tests, re-presentations, wasted medications and even preventing malpractice cases. Our tools themselves help improve the diagnostic process by helping doctors and patients to ask the question ‘what if’ when viewing a more comprehensive differential diagnosis provided by Isabel, but we don’t think this is where our responsibilities stop. We regularly talk about, write on and get involved in events surrounding diagnostic error and improving diagnosis. A landmark report from 2015 by the US National Academy of Medicine stated: “Improving the diagnostic process is not only possible, but it also represents a moral, professional and public health imperative” and we couldn’t agree more. We’ve written a white paper which goes into more depth on why we think improving diagnosis is important, and the steps we think should be taken. It’s called “Why and How to Improve Diagnosis” and can be downloaded by selecting the button below.